Union Minister for Finance Arun Jaitley has asked Meghalaya to send proposals from the Sports Department and assured all support to ensure that utmost priority would be accorded to build the best infrastructure prior to hosting the National Games in 2022. 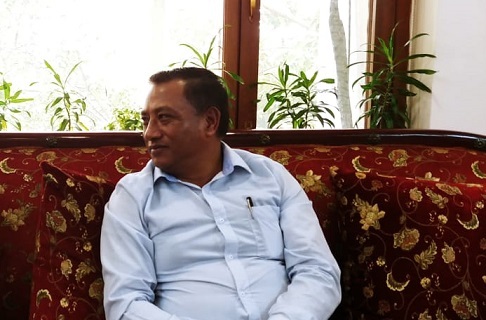 Jaitley conveyed this to Meghalaya Health Minister A L Hek who met him in New Delhi and apprised the Union Minister about the urgent need to develop infrastructure in the state in view of the upcoming National Games in 2022. “He (Jaitley) has asked us to send proposals from the Sports Department and assured all support to ensure that utmost priority would be accorded to build best infrastructure prior to the games,” a statement quoting Hek said here on Monday. Hek apprised Jaitley of the request of the state government to retain the office of the Chief Commissioner of Customs and CGST in Shillong. He also handed over Meghalaya Chief Minister Conrad K Sangma’s letter of request to consider the demand, after which, Jaitley assured to examine the matter. Hek reminded that the Meghalaya government had allotted a land measuring 15 acres for setting up of the office in New Shillong Township. Later, Hek met Union Tourism Minister Alphons Kannanthanam and requested sanction of Rs 70 crore under ‘Swadesh Darshan’ scheme, which was announced prior to the Assembly elections in Meghalaya. “Leaders of different Christian denominations and Seng Khasi have approached me seeking support for improving amenities in religious places of Meghalaya. I have sought sanction of funds that was promised to the people of the State,” Hek told Alphons, while informing that the Tourism Minister had also asked for proposals in this regard.